(July 25, 2011) --- After several months of tense negotiations, the Lockout has ended with a deal happy NFL owners and players say will screw over only the fans. The new 10-year labor accord will become official once the 1,900 players vote to ratify the deal and Jay Cutler enters it in his diary. Now that the player representatives from all 32 teams have signed off on the agreement, the vote is considered all but a formality despite the ardent objections of John Boehner. After the NFL Lockout ended, the press was unsure if Dallas Cowboys owner Jerry Jones was happy or sad with the CBA results as his face hasn't moved since 1999. --The fixed term of the agreement, which has no opt-out clause, covers the 2011 through 2020 seasons and includes the 2021 draft. --All drafted players sign four-year contracts; undrafted free agents sign three-year contracts. --Over the next 10 years, additional funding for retiree benefits will be between $900-million and $1-billion... but you still have to pay $8 for a stadium beer. --Following a catastrophic injury, a player will recieve up to $1-million and will be presented with an official NFL keepsake jar in which to display what used to be his teeth and nuts. --Despite popular opinion and much debate, the league does recognize the Minnesota Vikings as an official NFL team and the MetroDome as an official NFL venue. --Brett Favre can only return to the NFL if he buys a ticket. He must also wear pants and leave his cell-phone at home. 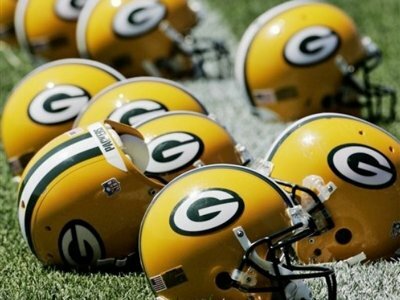 Today, NFL commissioner Roger Goodell gave the Green Bay Packers the green-light to resume collecting Roman numerals. 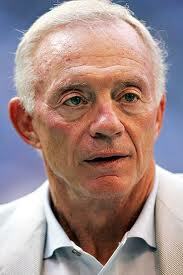 Incidentally, Jerry Jones did not take part in the NFL negotiations. Every time the Dallas Cowboys owner tried to sit at the negotiating table, he was told that his seat wasn't ready and was moved to another room in the building where he could watch the negotiations on a big screen TV. But because of the inconvienience, Jones was also offered complimentary tickets to the next negotiating session in 2020.